WASHINGTON — A leaked draft rule from HHS intended to help stabilize the individual insurance market highlights the narrow limits of what the Trump administration can do on healthcare reform without action by a deeply polarized Congress. 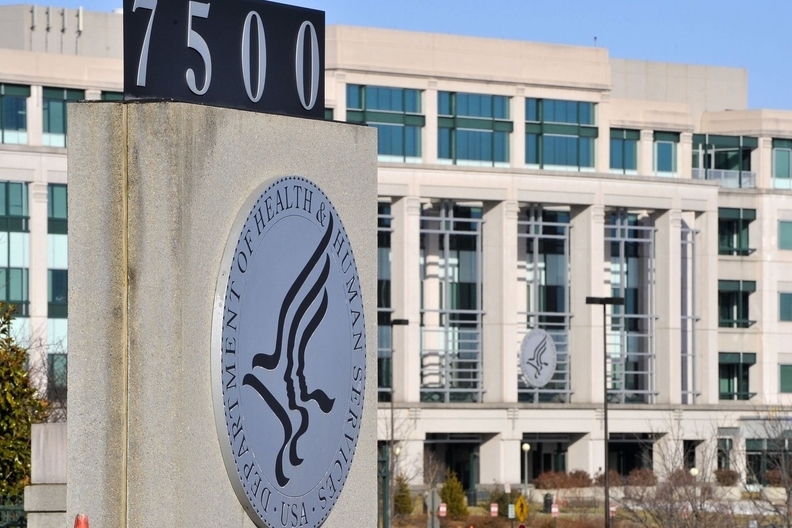 HHS reportedly has submitted a proposed rule to the Office of Management and Budget but no details of the rule have been disclosed by either agency. Politico, however, obtained two different draft versions of the rule. The provisions in the leaked rule are consistent with some of the changes sought by insurers to get a better balance of healthier and sicker people in the risk pool, bring down costs and premiums, and make the individual market a more profitable business. But the proposed changes don't address what insurance industry leaders say are their most important needs if they are going to remain in the individual market in 2018. Those include congressional funding for the ACA's cost-sharing reductions, preservation of generous premium subsidies to keep coverage affordable, and restoration of risk payments to protect insurers that sign up disproportionately sick members. Conservatives oppose such measures, calling them insurance company “bailouts.” So far neither President Donald Trump nor congressional Republican leaders have said anything about those issues. Time is another challenge for the Trump administration in trying to stabilize the market through rulemaking. Even if HHS issued a notice of rulemaking tomorrow, soliciting and considering public comment and drafting and publishing a final rule could take at least two to three months. But insurers have to file their 2018 plan offerings and rates for 2018 by April and May, and they need to know the insurance market rules before they make their final decisions. Meanwhile, consumer advocates say the proposed provisions would make insurance less affordable and accessible for older and sicker people and those who face unexpected life changes, financial problems, or illnesses. According to the drafts leaked to Politico, HHS is proposing to let insurers charge older enrollees premiums 3.49 times as much as they charge younger enrollees, up from the Affordable Care Act's maximum permitted age-rating band of 3 to 1. In addition, the agency wants to cut the length of open enrollment from three months to six weeks, extending from Nov. 1 to Dec. 15. The draft rule would require people facing coverage outside of the open enrollment period because of changes in life circumstances – so-called special enrollment periods – to provide documentation of the qualifying life change such as divorce or a lost job before coverage would become effective. It would modestly ease the ACA's medical loss ratio requirements for insurers, for instance, letting insurers cover as little as 66% of enrollees' medical expenses under silver plans rather than the current minimum of 68%. Finally, insurers could cut off coverage after 30 days if enrollees failed to make a premium payment, rather than giving them the current 90-day grace period. The most controversial provision is widening premium differences between younger and older people. Insurers argue they need more flexibility to set lower premiums for younger, healthier people to lure them into the insurance market and offset the cost of older, sicker people. Insurers would prefer at least a 5 to 1 age-rating band. But it's questionable whether the administration through rule-making can legally change the age-rating band, which Congress explicitly set at “no more than 3 to 1 for adults.” According to the Huffington Post, HHS officials thought they could justify 3.49 because that rounds down to 3 and would comply with the statute. AARP, the advocacy group for older Americans, strongly opposes changing the law to let insurers charge older consumers higher rates, calling it “a bad deal for Americans” that will lead to higher costs and reduced coverage.” It said it would consider a lawsuit if the Trump administration issues such a rule. Hilferty welcomed several of the other changes, including closer scrutiny of special enrollment and a shorter open enrollment period. “Anything they can do around the special enrollment periods to tighten the process, paperwork, and verification would give us comfort that when someone signs up, they are eligible,” he said. But Dr. Len Lichtenfeld, deputy chief medical officer of the American Cancer Society, raised concerns in testimony before a House committee last week about the impact of such provisions on older and sicker people and those who face health and financial crises. “Penalties imposed on people in these situations may adversely impact access to care, interrupt life-saving treatment, and make insurance unaffordable when they attempt to regain coverage,” he said in his prepared remarks. The proposed changes in the draft rule are designed to increase revenue or cut costs to insurers to make staying the individual market more attractive to them, Garthwaite said. But the rule provisions may not be strong enough to counteract the insurance market jitters Trump and congressional Republicans already have created with their various moves to repeal or block effective implementation of the ACA. “If we want to keep the exchanges going, this isn't the way to do it,” he said.